Looking for a house? May we suggest the Mansions at Acqualina in Florida? It exudes royalty and luxuriousness, and the realtor will give you a Lamborghini and a Rolls-Royce for ‘free’ when you buy this penthouse. No, there is no catch to it. Just that the penthouse costs slightly above-average; it is priced at $38 million. The term “super SUV” is relatively new in the automotive lexicon, but its use has exploded in popularity with the rush of high-end models that have filled its ranks. 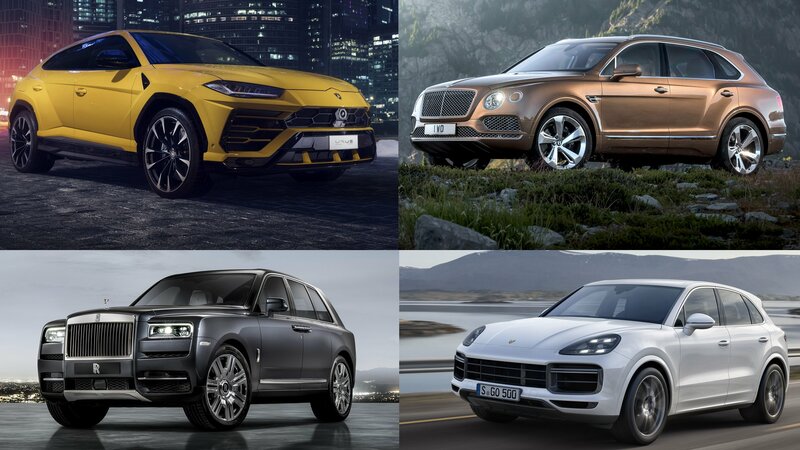 From the Bentley Bentayga to the Lamborghini Urus, we’ve seen no shortage of super SUVs hit the market in recent years. Super SUVs are the most extravagant breed of SUVs you can find on the market. They have interiors that can rival those that are found in luxury cars, and they have performance capabilities that border on supercar levels. They also have premium price tags, something that we should expect given their status. This is our list of the best super SUVs in the market today, and, who knows, you might end up in the market for one sooner than you think. Rolls-Royce may have succumbed to the growing demand of SUVs all over the world, but don’t expect the British luxury brand to do the same with semi-autonomous driving technology. Rolls has no interest in joining that race because, in its mind, most people who own Rolls-Royce models don’t even drive them. They have chauffeurs that drive the cars for them. Spec your own Rolls-Royce Cullinan in the fanciest online configurator ever! The Rolls-Royce Cullinan finally arrived in May 2018 after many years of teasers and speculation to take its place at the top of the SUV market as the most expensive and luxurious hauler ever created. 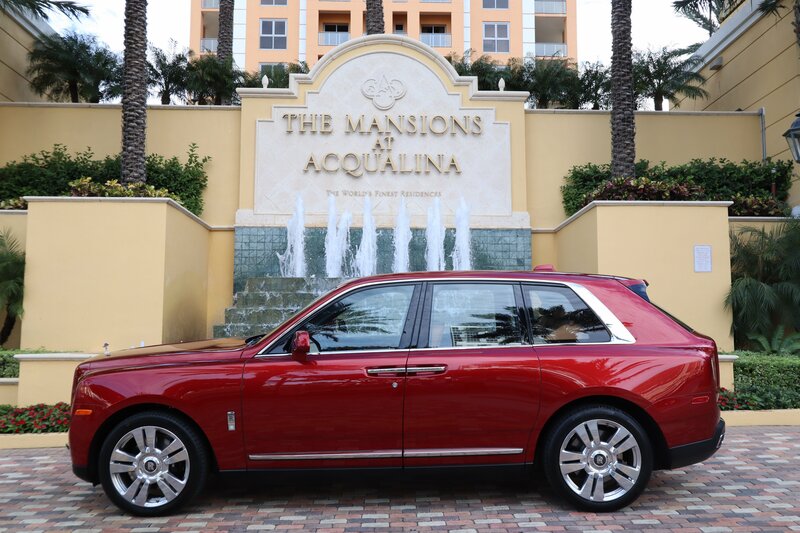 Priced from a whopping $325,000, the Cullinan is probably selling like hotcakes for a really expensive vehicle. The SUV can now be configured on the company’s official website, and the online experience is just as bespoke as the Cullinan itself. And even though most of us can’t afford one, we can at least configure the Cullinan of our dreams until we can actually place an order. According to Rolls-Royce, all of its customers have Chauffeurs, and when you cater to the one-percent, there’s no room for semi-autonomous technology. It’s not for Rolls-Royce customers. At least not until it’s truly effortless and then it’ll be ripe enough for the typical Rolls-Royce client. While the statement above makes Rolls sound about as stuck up as the people it builds cars for, its reasoning does have some merit. The fact is that for customers that do have Chauffeurs (I’m definitely not saying all do, but a good portion surely do) it wouldn’t make sense to pay your very own Alfred to sit around and do nothing, waiting for an instance where he’ll have to take over. Premium SUVs have been around for quite some time now. Many claim that the first luxury hauler arrived in 1984 as the Jeep Grand Wagoneer, but the modern era began in 1999 when BMW introduced the X5. In 2016, Bentley reshaped the segment with the Bentayga, the first full-blown luxury SUV that gathered fine upholstery, state-of-the-art tech, fancy features, and high-performance under one roof. At the time of its launch, it was the quickest, fastest, and the most expensive SUV. Two years have passed and Rolls-Royce delivered its first people hauler, just like it promised a few years back. 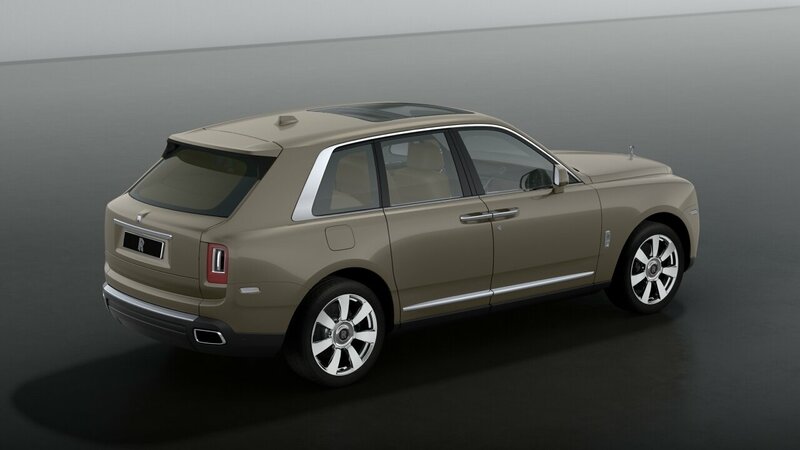 It’s called the Cullinan, and although it’s not faster than the Bentayga, it’s definitely the more expensive choice. While the premium segment is packed with SUVs from European, American, and Japanese automakers, the range-topping luxury market is still very small. With no other products around, Bentley and Rolls-Royce are the only firms fighting for supremacy here. 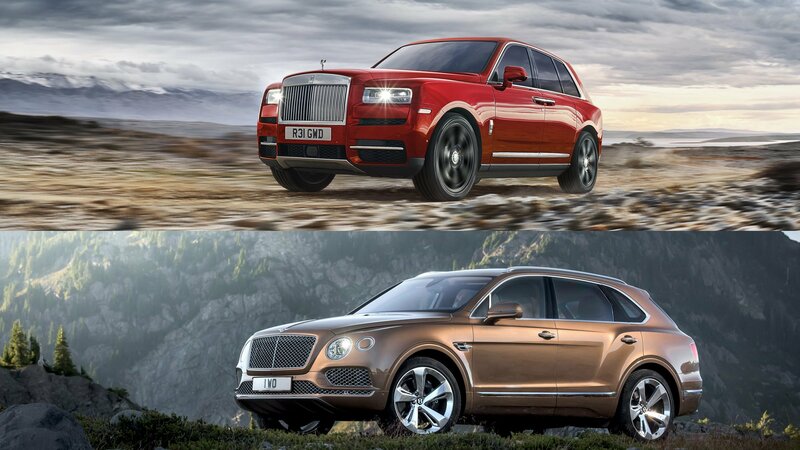 The Cullinan and the Bentayga will go against each other for the richest, most pretentious customers out there for years to come. Who will win? It’s hard to predict at this point, but we set up a thorough comparison for the most luxurious SUVs ever built as of 2018. 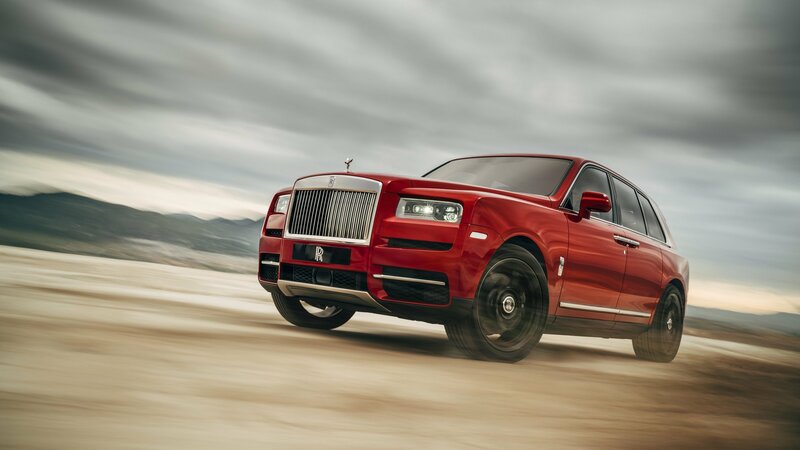 The Rolls-Royce Cullinan has some people drooling and some people criticizing. 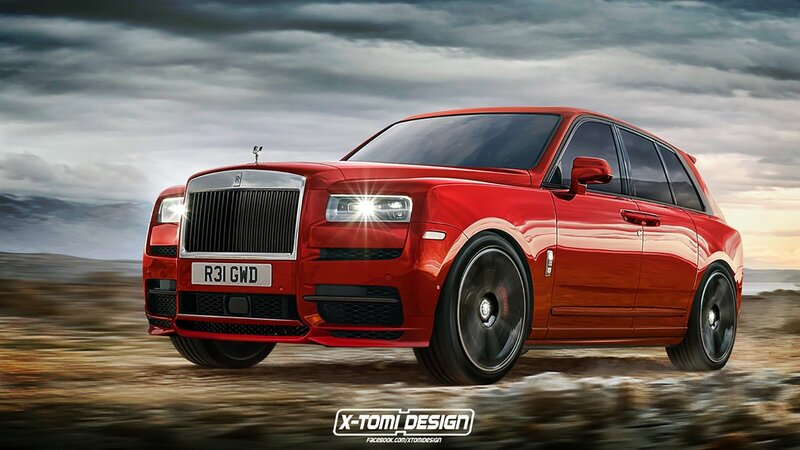 Well, be prepared to drool and criticize even more as our friend Xtomi has decided to render the Cullinan in five different body styles that range from a shooting brake to a coupe, to a pickup. That’s right folks, an actual Cullinan pickup truck. So, with that said, we’re going to pick each design apart a bit and decide whether or not Rolls should actually considering making any of these body styles. Last week I wrote a big rant about how the BMW M5 with the Competition Package is an abomination. I take that back. 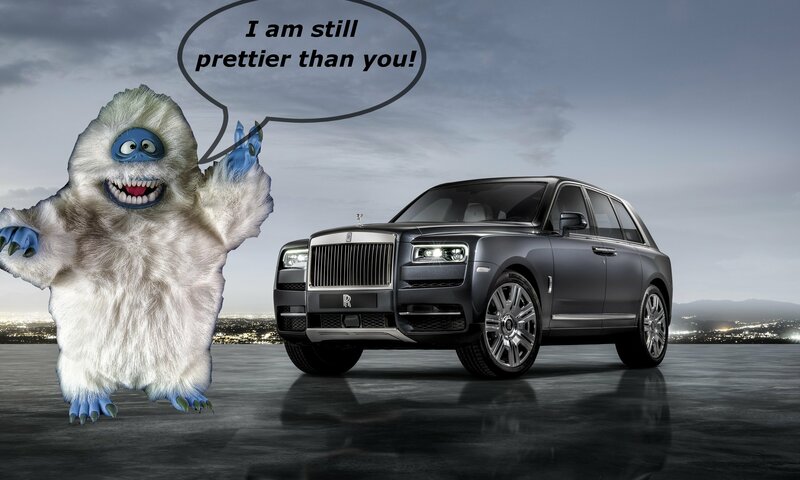 The new Rolls-Royce Cullinan is the supreme abomination. A luxurious, boxy abomination on wheels. And the perfect example of how to be lazy in the design process. Okay, I’m not taking that back actually, I still think that the M5 Competition Package is a useless piece of junk, and you should buy a proper sports car instead, but the Cullinan is my all-time favorite automotive abomination. Until Boeing builds an airplane-shaped SUV that is! It’s been three years since Rolls-Royce revealed its plans to join the SUV bandwagon and the British luxury hauler is finally here. It’s big, powerful and loaded to the gills with luxury features and state-of-the-art technology. It’s also incredibly familiar, as Rolls-Royce didn’t spend too much time redesigning the Phantom’s styling cues for the SUV. 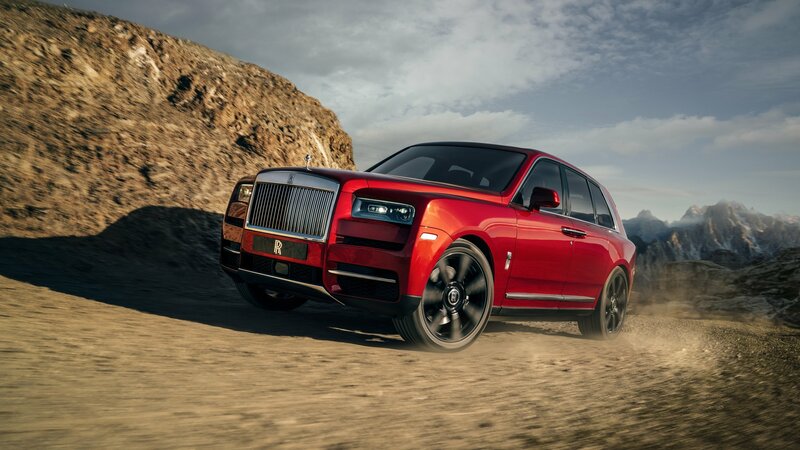 The Cullinan has already sparked heated debates, rapidly falling in the “love it or hate it” category. Where do we stand in this discussion? Find out from our senior editors below. 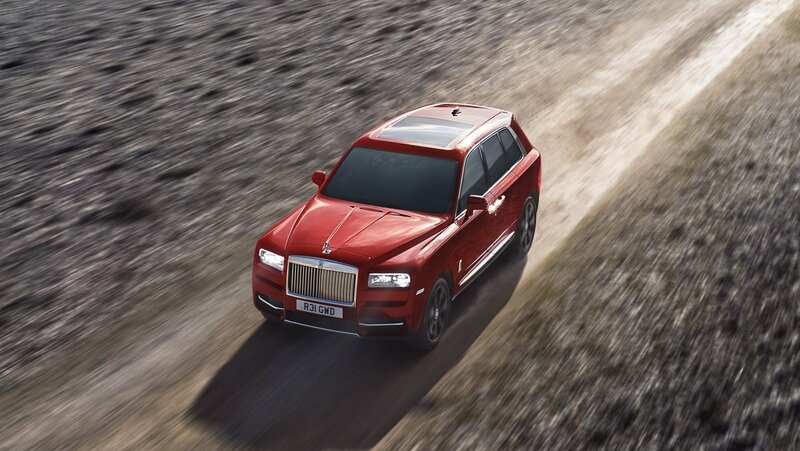 The Rolls-Royce Cullinan just debuted this week, and while we knew it would be based on the Phantom, we didn’t realize there would be so much Phantom in it. It’s a clear descendant, that’s for sure. 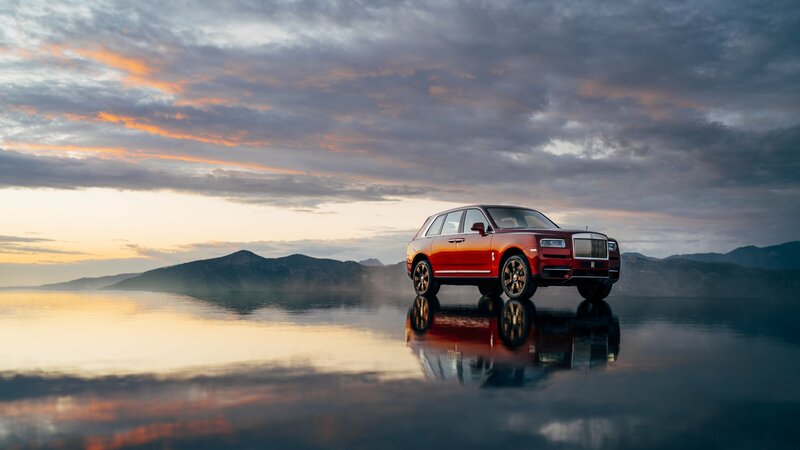 Be that as it may, the Cullinan still stands out with its seemingly unlimited headroom in comparison, and it’s the world’s first three-box SUV since the cargo area is completely separated from the passenger compartment thanks to a wall. And, despite the fact that it was designed to go off-road (not that anyone ever would do such a thing,) it still maintains that classic Rolls magic carpet ride feeling when cruising down the road. It doesn’t come cheap, though, and some of us are stuck admiring from a distance, so we figured there’s no time like the present and made it our wallpaper of the day. We’ve got some great images, so if you don’t like the one we picked out, slide on down to see more wallpaper quality images of this V-12 powered beast. The luxury SUV bug has bitten its share of automakers in recent years. Up to now, Rolls-Royce has been an exception, but come 2018 and the British automaker launched its very own people hauler. Better late than never, Rolls-Royce. News of Rolls’ interest in developing a luxury SUV came to light in 2015, when Rolls-Royce was already working on a brand-new platform for the Phantom sedan. As expected, the SUV is based on the same underpinnings and shares many styling cues and features with the luxury four-door. Although Rolls-Royce has no history with SUVs, the company cited vehicles from the past which have been successful in events such as the Scottish Reliability Trials and the Alpine Trials, and had the ability to carry their owners “over challenging terrain with absolute reliability and comfort” in Australia, India, and other parts of the world. On top of being Rolls-Royce’s first-ever SUV, the Cullinan also introduces many new technologies to the brand, including all-wheel drive, an off-road driving mode, and a suspension that actively extends the dampers to keep every wheel on the ground in rough terrain. The SUV’s true purpose is to challenge the Bentley Bentayga, but how does the Cullinan compare to its British rival? Let’s find out in the review below. 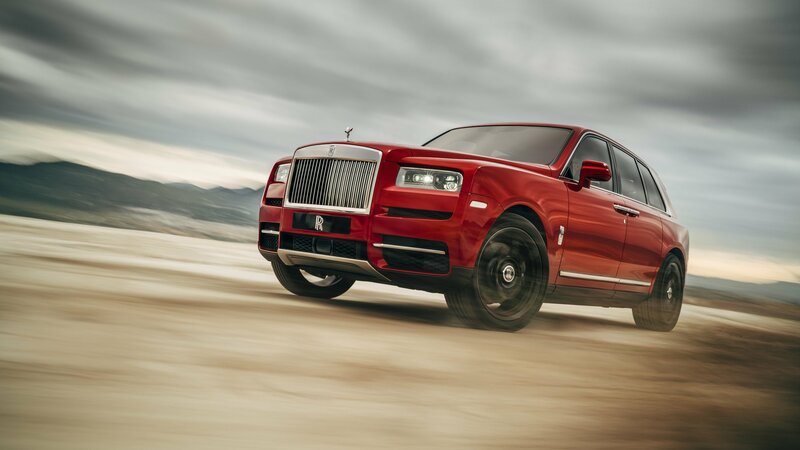 Continue reading to learn more about the Rolls-Royce Cullinan. 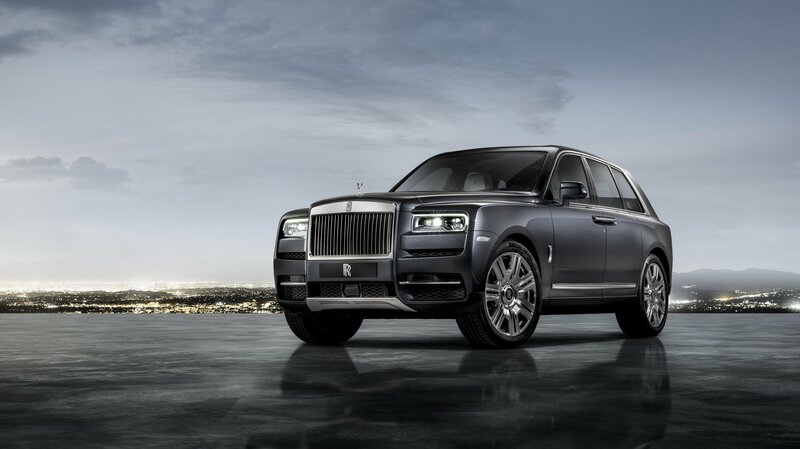 Rolls-Royce has, technically, shown up late to the party with the Cullinan. After all, the Bentley Bentayga, it’s one true competitor, has been out for a while. But time has been kind to Rolls-Royce, and the brand used that time wisely. To put it simply, the Cullinan is going to murder the Bentayga in every way, shape, and form. First, it does look like a Phantom up front, and the interior, at least in part, shares a lot of common DNA too. But, it’s the little things that really set it apart. 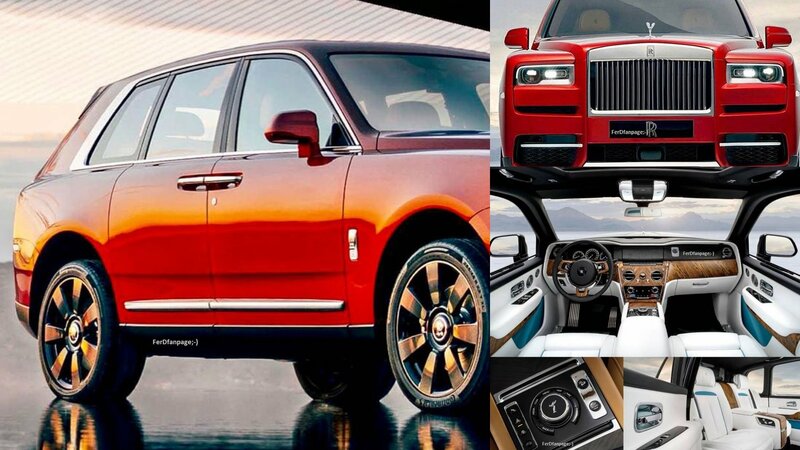 The Rolls-Royce Cullinan is set to debut in less than 24 hours and, wouldn’t you know it, some images have leaked showing off, well, damn near everything. 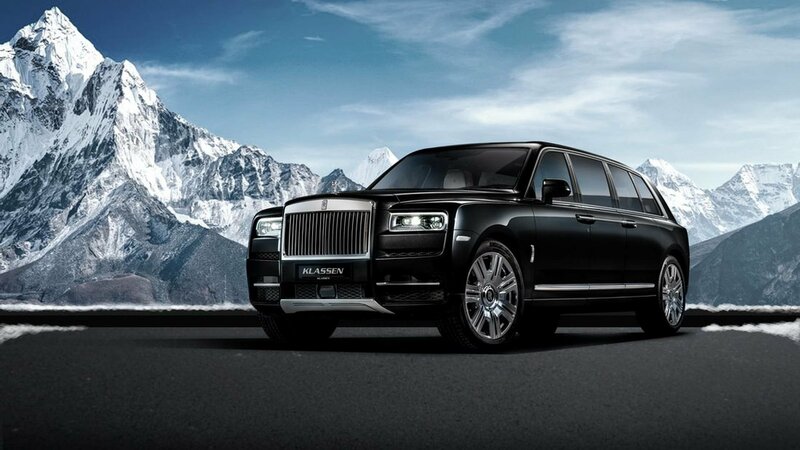 First, it is an all-out SUV so you won’t be as disappointed as you were over the Maybach Ultimate Luxury “SUV.” Right away, though, it’s pretty damn easy to tell that the Cullinan is based on and very closely related to the Rolls-Royce Phantom. How related you ask? Well, the nose is practically identical sans a few minor stylistic changes here and there. Looking at it head-on, it’s hard to tell it’s not a Phantom on jacked up suspension. But, once you see the side view, you know it’s a true SUV. Hell, it’s even got a tailgate with that cool but uncomfortable looking picnic setup. The roof features a large moonroof, but it’s not large enough for rear passengers to enjoy but it does have suicide doors it seems, so it’s got that going for it. Other exterior highlights include an aggressive beltline with huge, chrome window trim in the rear and a functional stance that shows it means business from a luxury perspective. What’s more important right now is the interior and, if these leaked images are legit, we’re getting a good look at what’s happening inside. Much like the nose, you’ll find a lot of Phantom cues inside as well. And, by “a lot” I mean A LOT. The dash is nearly identical with the exception of a little dip in the top of the dash above the flip-out infotainment system. There’s plenty of wood and leather around of course, but it features very similar HVAC vents, door trim panels, center console, and center stack. It even has the same three-gauge instrument cluster. Oddly, the leaked images show something that’s quite luxurious but maybe even a little rugged too based on the rim of the steering wheel, for example. 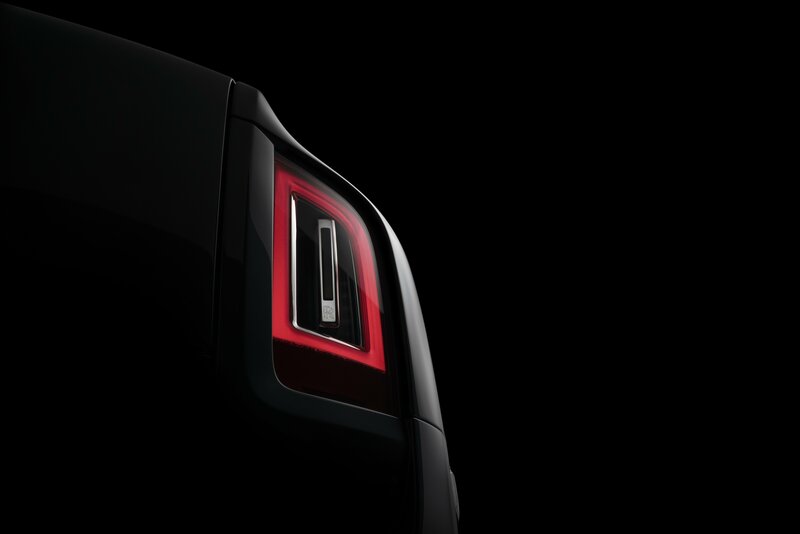 In the rear, you find the same style of center console and the same door-trim panels as well. Truth be told, it looks like Rolls too the Phantom, put it on stilts, and gave it a taller roof. It’s not necessarily a bad combination as you can’t really get much better than this, but it could be knocked off as a bit lazy. 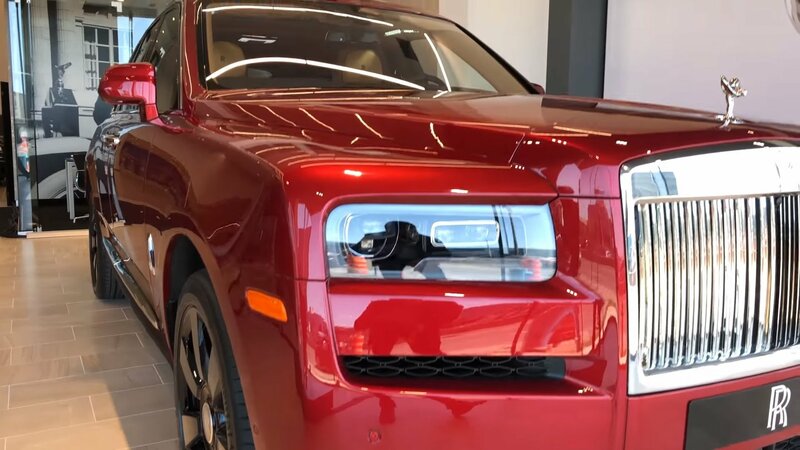 After all, Rolls could have taken the time to give the Cullinan a different look in comparison to the Phantom on which it is based. between now and it’s debut. To refresh your memory, the Cullinan will go up against the Bentley Bentayga and will ride on the same platform that underpins the Phantom. It will even have a viewing suite in the rear on the tailgate if you want a luxury-infused picnic. We expect it to use the same engine as the Phantom for motivation as well, so a 6.75-liter with 563 horsepower and 664 pound-feet of torque should be sending power to all four wheels via an eight-speed automatic transmission. If you’re interested in seeing the plethora of videos put out by Rolls-Royce, check out our playlist embeds below. Each list has between 8 and 10 videos, just click the arrows in each video player to navigate. Let us know what you think so far in the comments section below.